好專業嘅團體呀~ 無論喺陸地上同海上嘅拍攝過程都好順利! Big day之後一日就睇到好靚嘅相，好快手! 攝影師又nice又friendly! Big thanks to the crew! 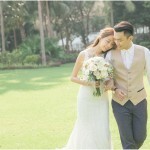 專業、用心的團隊，無論prewedding還是bigday都很滿意。 prewedding拍攝前jeff會了解我們的需要，配搭服裝的提議很有用。拍攝當天亦很順利，拍攝時無需過多指導，便能拍出我們自然的一面。善於捕捉很重要，因為善於捕捉拍出來才不會太生硬，而且這樣跟Jeff拍攝一天也不會很累。 出相速度快，味精不濃，簡約卻很耐看。 bigday當天指導清晰，2p1a的團隊很有默契，亦與我另外找的videographer配合得很順暢。最後就算因為我們的安排導致delay也耐心幫我們完成所有拍攝才離開，很包容，沒有怨言，敬業精神可嘉! 感謝! 多謝Jeff & Cherry俾左我地一個好愉快嘅prewedding photoshooting experience 🙂 Jeff好厲害捕捉到我地自然嘅一面，而且好有耐性又會聆聽我地想點樣影同影咩地方/道具(佢重幫我地安排埋車,等我地可以煩少樣野) ，亦要多謝佢唔介意overrun少少去影多d對我地有意義嘅相。後期回相又快又有交帶，MUA Cherry亦都好細心,好中意佢幫我化嘅妝同髮型。 😀 多謝Hour Gallery! The photographer Jeff is professional, friendly and offers invaluable advice on poses; the makeup artist Cherry is meticulous and excels at her trade. Look forward to next occasion in taking photos with Jeff and Cherry again. wonderful pictures by the hour gallery! I liked how the hour gallery captured the moment and the natural side of us…is amazing and enjoyable experience. Thank you so much for all the wonderful pictures! Highly recommended! One of the best things about The Hour Gallery is that every person on our team has this inherent happiness and passion! We work as a team to learn, grow and perfect our art. Every day we share techniques, creative experiences, ideas and feedback to push the boundaries and provide you with the best in portraiture.